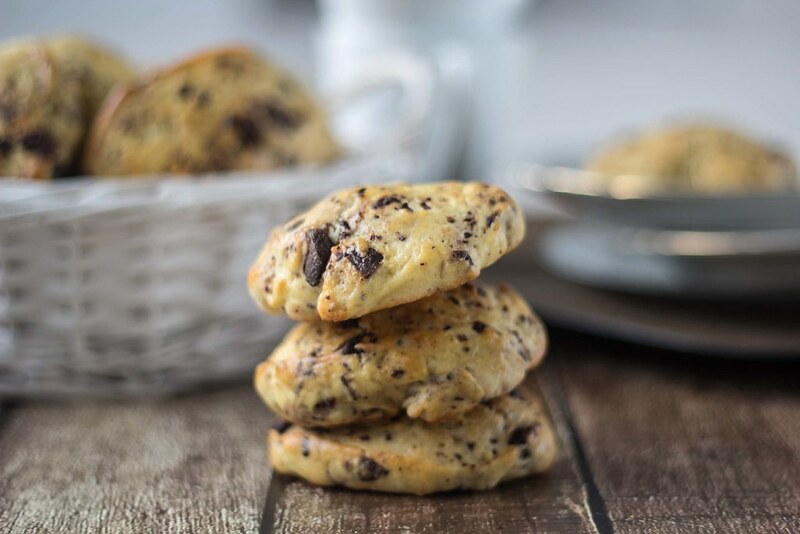 This recipe for scones with chocolate pieces are super easy to make and they taste very delicious. 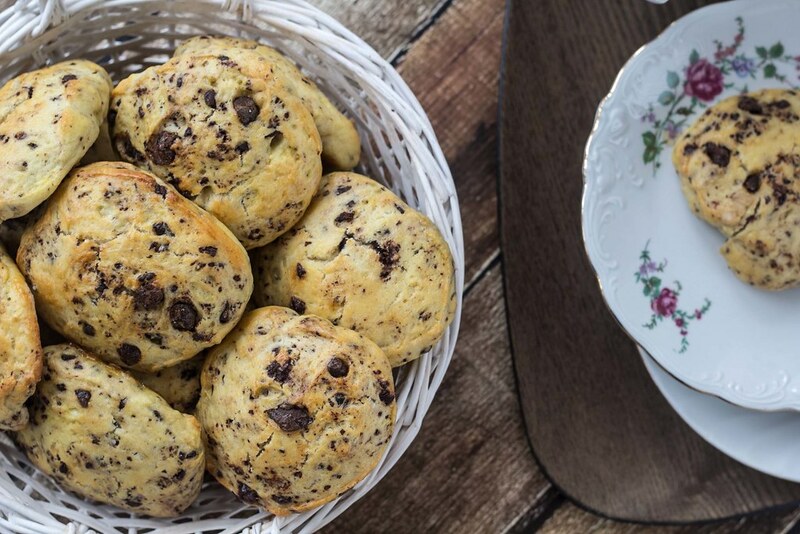 A scone is like a sweet bun or cake and is very popular in the United Kingdom and Ireland and is often served as an afternoon snack or together with tea or coffee. They can be bought in most bakeries and supermarkets. However, because scones are so delicious they are also widely popular in the rest of the world too. We normally bake these scones if we are in a hurry and we need something delicious, like if we are having unexpected guests. It takes about 30-45 minutes to make these scones because in this recipe you don’t need yeast. When using yeast in bread you normally have to let it raise before it can be baked. 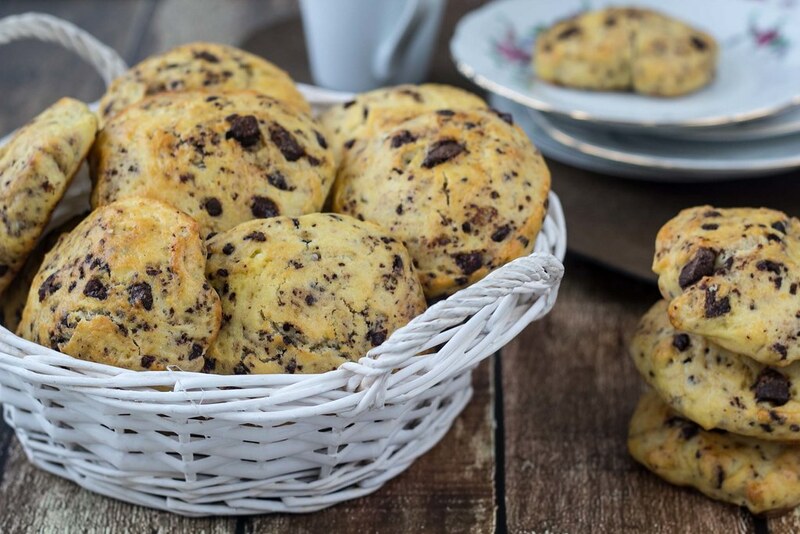 Instead of yeast this recipe uses baking powder which still makes the scones raise and become light, fluffy and super delicious. 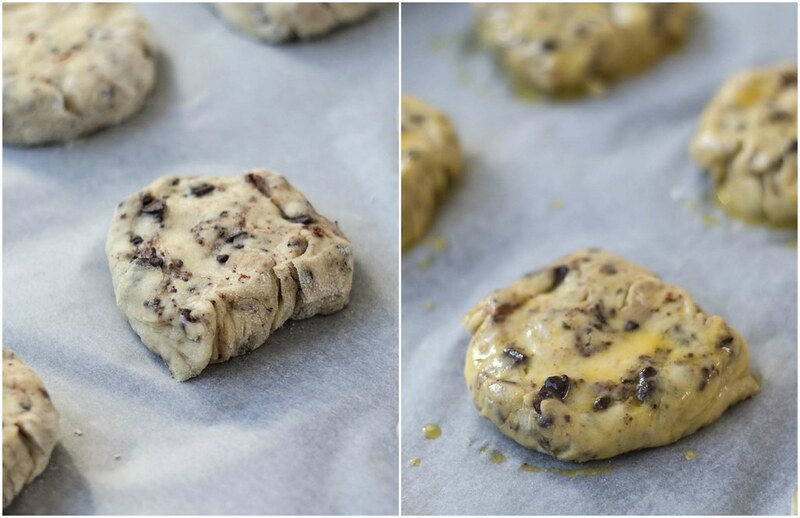 You can either use chopped chocolate or chocolate chips in these scones. 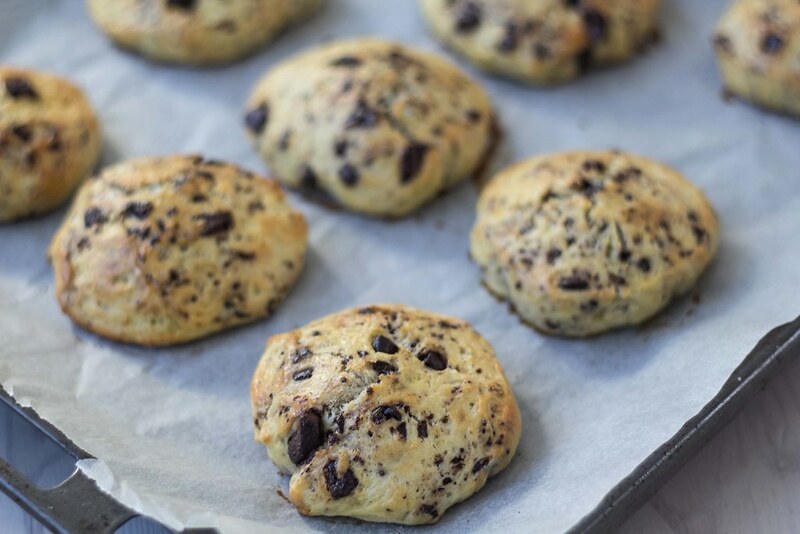 However, if you use chopped chocolate you will get different sizes of chocolate pieces, and you will get a nice and good looking chocolate texture in the scones. We normally prefer this way. Scones are absolutely great when they are freshly baked. Like most bread we don’t recommend leaving it for too long before its eaten. You just risk that the scones gets dry. 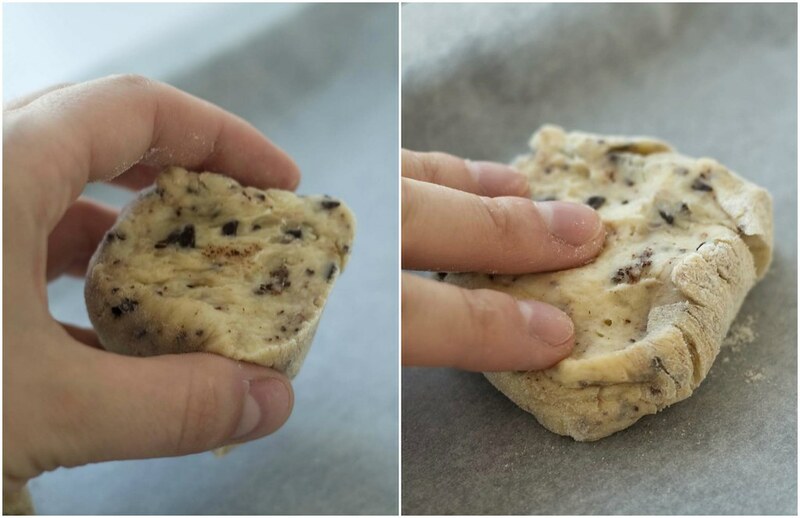 However, if you have a couple of extra scones that have become dry and boring, you can easily freshen them up and making them delicious again by heating them in the oven at low heat. Step 1: Mix sugar, vanilla, baking powder, flour and salt in a large bowl. Step 2: Add the soften butter and use your hands to mix it with the dry ingredients. Add an egg and mix again. Step 3: Add the milk and yogurt and mix it into a dough. 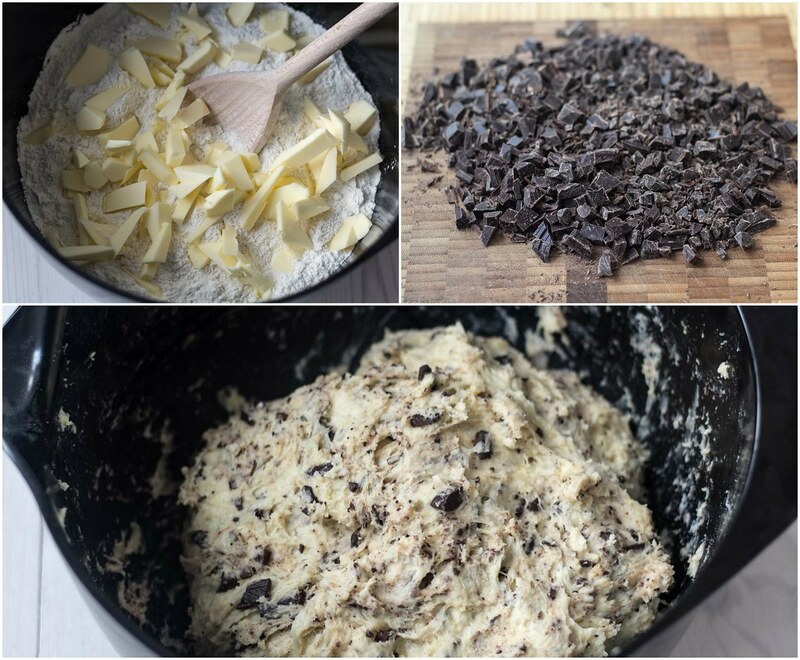 Step 4: Coarsely chop the chocolate (or add chocolate chips) and mix it with the dough. Step 5: Knead the dough but only until it has a smooth and uniform consistency. 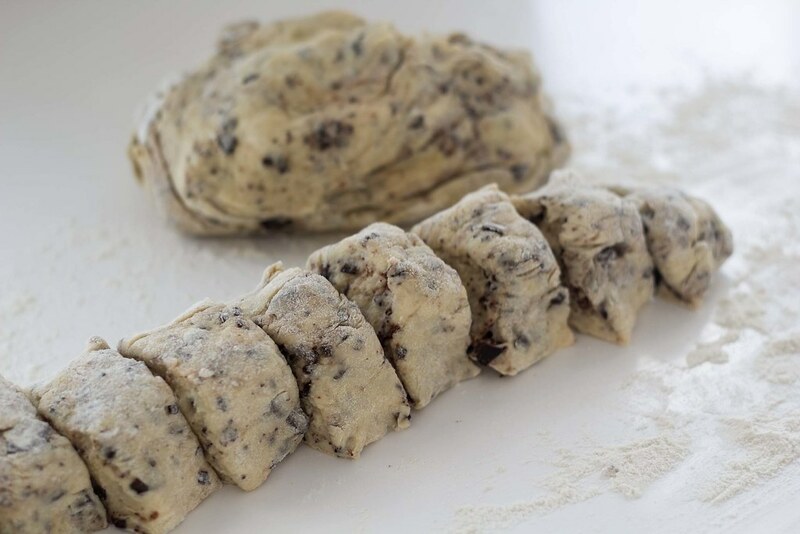 Step 6: Divide the dough in two and roll them into thick bars. Cut each bar into 10 scones. Step 7: Place the scones on a baking tray lined with parchment/baking paper. Step 8: Brush your scones with a beaten egg. Step 9: Preheat the oven to 200 C (400F) and bake the scones for about 15 minutes or until they are nice and golden.